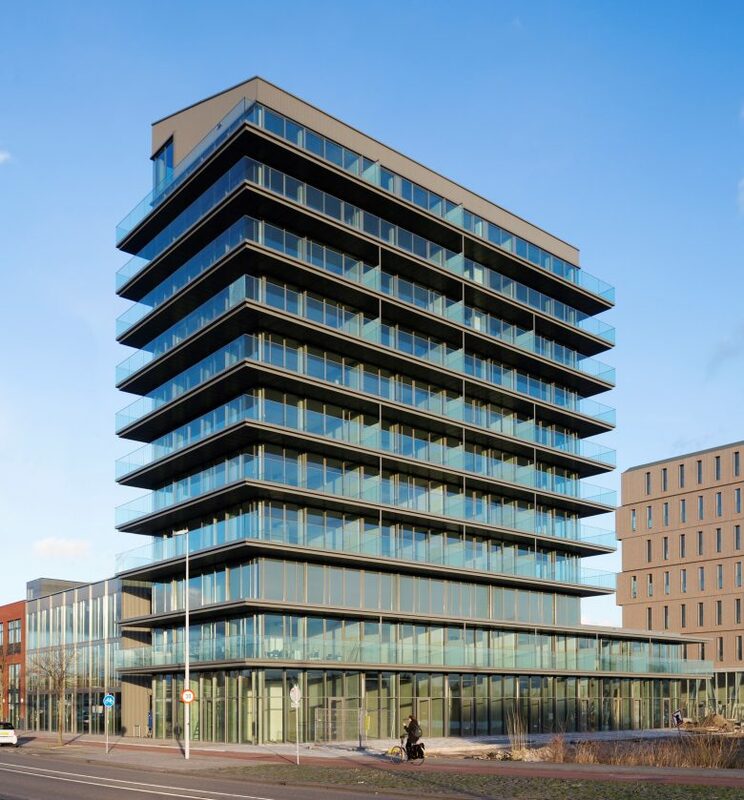 PATCH22, a 30m tall high-rise in wood, was one of the successful plans in the Buiksloterham Sustainability Tender in 2009. The initiators, the architect Tom Frantzen and building-manager Claus Oussoren,founded Lemniskade Projects to achieve independently what they had never been able to manage when working on commissions for their previous clients: an outsized wooden building with a great degree of flexibility, striking architecture and a high level of sustainability, not because that was what was required but because that is what ought to be done. The project was developed for their own account and risk in the middle of the crisis years of 2009-2014, and innovative financing solutions were conceived and implemented to meet this challenge. The project also incorporates numerous innovations in the technology used and application of technical rules, all aimed at achieving the desired flexibility without having to make compromises. Examples include the hollow floors and removable top floor, the lack of shafts in the apartments — achieved by having the piping and cabling taken horizontally to central shafts in the core — and agreements for a fixed ground lease with flexible positioning of the functions within the building. 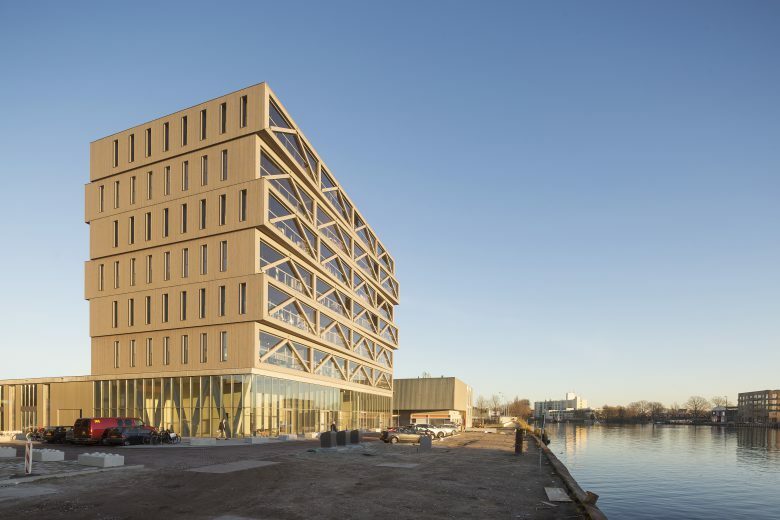 But the most unusual feature is the use of a wood as the main structure for the 30m-tall building. Moreover, the wood has largely been left visible, making this a key factor in the ambience of the apartments and the exterior.